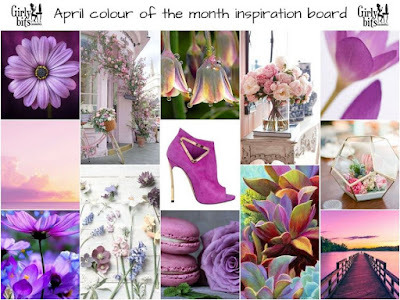 Back again with another feature for the Girly Bits Colour of The Month series, and today I've got swatches of the April 2018 Colour of The Month duo! Early Bird Special: Pick up the duo from the Duo Early Bird Promo listing at a discounted price of $1.00 off each bottle from the 1st until the 10th. After that, they will continue to be available for purchase individually at full price only. You will be able to purchase these polishes between April 1st and May 1st only - get them while you can! As mentioned above, you can save $1.00 off each bottle by purchasing the duo between April 1st until the 10th. My Peony Has a First Name is a mid tone pink/purple orchid creme. 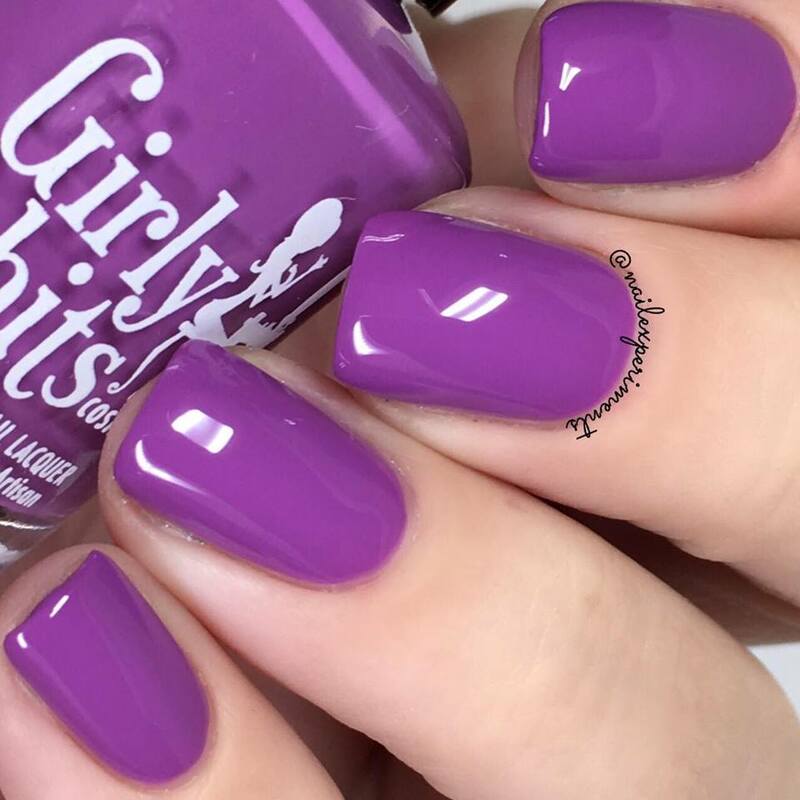 Depending on the lighting, it will move from pink to purple tones. It will retail for $15 CAD. 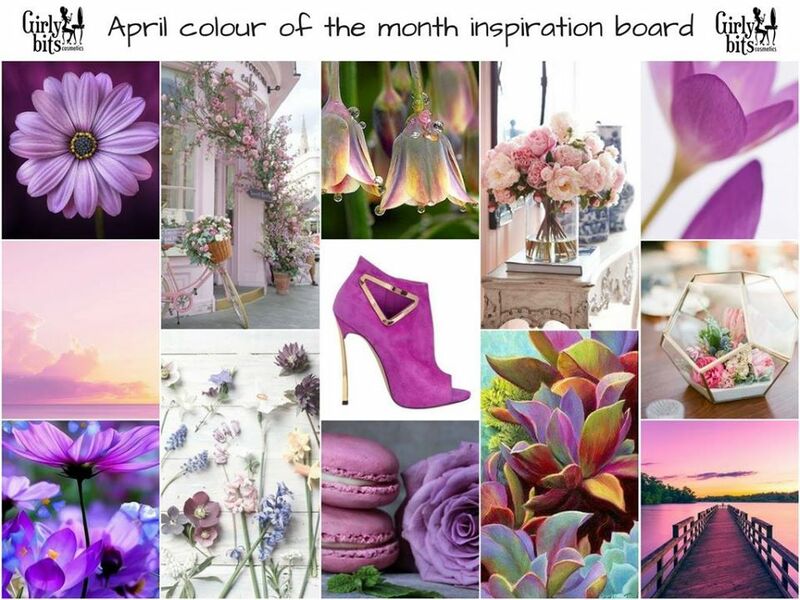 My swatch of Peony Has a First Name is shown in 2 easy creamy coats. I didn't seal with a top coat, as it dries down with a shiny finish. I would definitely recommend pairing with a top coat for a longer wear time. This polish is 5-FREE, vegan friendly and cruelty free. 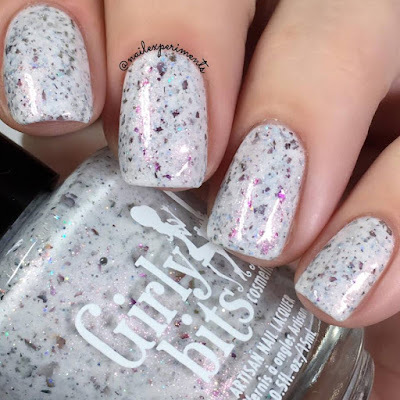 Bouquet Corral is a white crelly base with a sheen of rose gold shimmer throughout, scattered holographic twinkles, and a dusting of ultrachrome flakes in pink, purple and gold. It will retail for $16.50 CAD. My swatch of Bouquet Corral is shown in 2 easy coats and sealed with the Girly Bits What a Rush Quick Dry Top Coat. 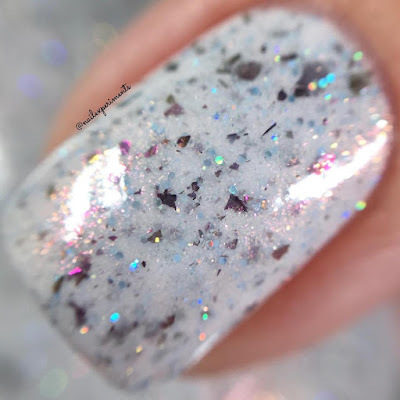 This crelly is so beautifully done and just adore the combo of it all - so perfect for the spring and summer seasons! 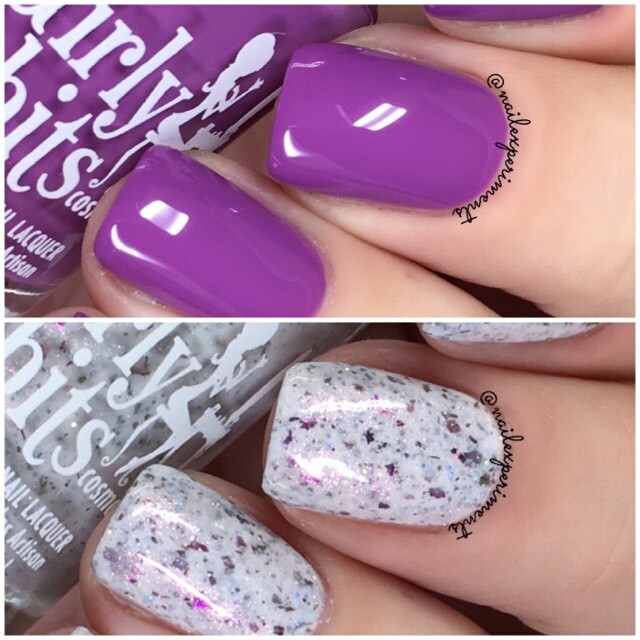 I really love how this duo has two completely different finishes and think these polishes would compliment each other nicely when worn together! 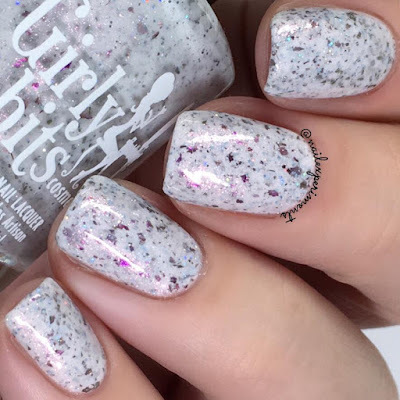 Feel free to join the Girly Bits Polish Lovers Facebook group to join in on some interactive fun! 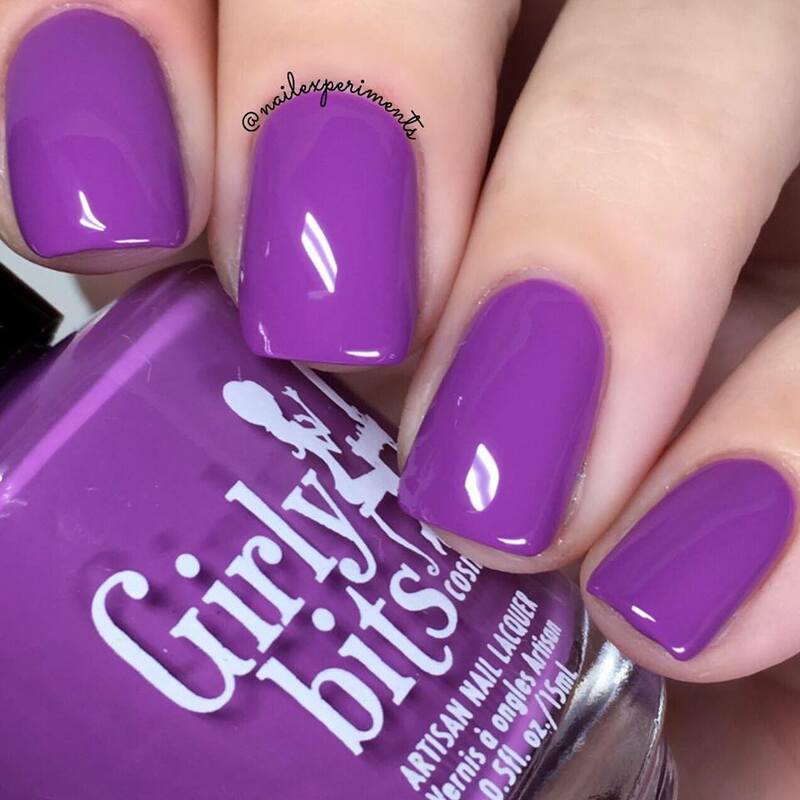 Pam (owner and operator of Girly Bits) posts each months duo, members get to contribute name suggestions, and the person with the winning polish names receive a free full sized bottle! They also run giveaways and it's a great place to share your love for Girly Bits products!